A simple fairy tale story becomes something much greater in this fantastic new physics puzzler. Pull back on the catapult and attempt to destroy the enemy-riddled forts with accurately placed shots, and go for the win. Nothing is more gratifying than saving the gorgeous princess, right? Of course not. Available now! 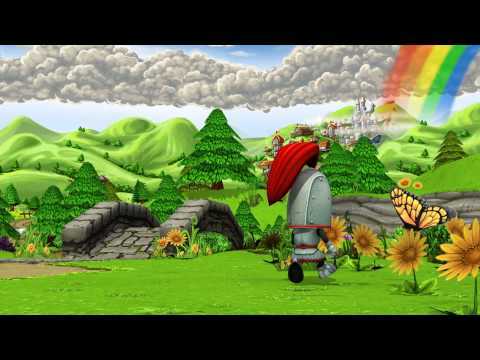 Rich 3D graphics immerse you in a colorful fantasy world. Over 60 expertly crafted levels are challenging yet fun. Explosive power-ups including a Lunar Strike diversify the action and let you tackle levels in your own way. Full support for the new iPad Retina display. Universal app that plays on both your iPad and iPhone.